Port Townsend is a coastal community located on the Northeast corner of the Olympic Peninsula in Washington State. Originally Port Townsend was called the “City of Dreams” because early settlers speculated that it would be the largest harbor on the west coast. The bay was originally named “Port Townshend” by Captain George Vancouver (for his friend the Marquis of Townshend) in 1792. It was immediately recognized as a good, safe harbor although strong south winds and poor holding ground often make small craft anchorage problematic off the town’s waterfront. The estimated population of Port Townsend as of the 2010 census was 9,113 with a growth of 9.3% from the 2000 census. Additional information is available at Jeff County Chamber of Commerce website. Port Townsend also offers wide cultural, historic, and recreational experiences. For more information please visit the City Guide of Port Townsend WA at www.ptguide.com. 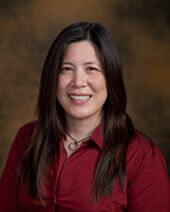 Molly Hong, M.D.Family Medicine; Brown University graduate; Brown Medical School; Oregon Health and Science University Family Medicine Residency; Tacoma Rural Family Medicine FellowshipDr. 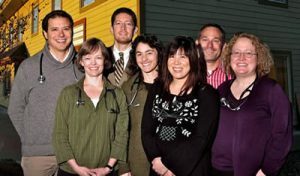 Hong has been a physician in Port Townsend since 2007. Her hobbies are varied like her professional interests and include sports such as softball and golf; arts and crafts, especially painting and pottery; and games like scrabble and poker. She also loves reading and spending time outdoors and traveling, especially with her husband Mike, son Max, and daughter Mei. Hospitalists: Judith Gayne, M.D. • Chris Giedt, M.D. • Tracie Harris, M.D. Internal Medicine / Pediatrics: R. Stephen Butterfield, M.D. • Sarah Schmidt, M.D. • Gemma O’Keefe, M.D. Surgery: Jay Lawrence, D.O. • Urology: Dimitri Kuznetsov M.D. Hospital Rounding: We have hospitalists on staff for inpatient care however obstetrical and newborn patients are rounded on daily by the Family Practice/OB providers. Surgery Opportunities: Dr. Jay Lawrence is a general surgeon and willing to work with students on surgery exposure. Dr. Dimitri Kuznetsov specializes in urology and is also willing to work with students on surgery exposure. Psychiatry Opportunities: Jefferson Mental Health offers opportunities in psychiatry. Consulting Specialists: Dr. David King, orthopedics (in Port Townsend) and Dr. Ann Murphy, hematology/oncology (in Port townsend). Rebecca Corley M.D. specializing in pulmonology comes to Port Townsend on a monthly basis to see patients. Clinic: Jefferson Healthcare owns and operates several clinics that provide primary care services. These include Family Medicine, Family Medicine with OB, Internal Medicine and Pediatrics. Call is shared by all the primary care providers within each clinic. Hospital: Jefferson Healthcare began as St. John’s Hospital. 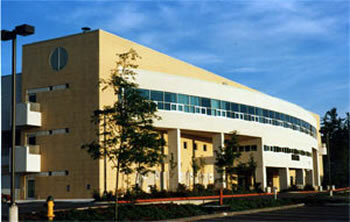 In 1975, the hospital operations were taken over by the county as Jefferson County Public Hospital District #2. The hospital was renamed Jefferson General Hospital. In January 2003, the hospital was designated as a critical access hospital and in September 2004, Jefferson General Hospital transitioned into the entity called Jefferson Healthcare. Recognizing that the hospital had grown into a fully integrated health care system, the hospital commissioners provided necessary leadership to change the name and more accurately express the broad range of services provided to the community. Because of Jefferson Healthcare’s size, community focus and dedicated staff, we deliver uncommonly compassionate, respectful and personalized care. Jefferson Healthcare employees feel a special responsibility to their friends and neighbors in this small community. Jefferson Healthcare offers the latest medical technology, yet they have the advantage of being able to provide medical care that is both personal and professional. Jefferson Healthcare offers a comprehensive array of health services including inpatient hospital care, outpatient services, primary care clinics, emergency care and home health/hospice services. The team of professionals is experienced and highly trained to excel in care giving. The primary mission of Jefferson Healthcare is to provide access to quality health care services for everyone in our community. Please note that drug testing through UWSOM is required at Jefferson Healthcare Clinic. Please visit UWSOM Compliance/Drug Testing for more information. The LifeCare Center overlooks the Kah Tai Lagoon. It specializes in short-term services as well as long-term care. The rehabilitation staff, which includes licensed occupational, physical and speech therapists, is specially trained to work with the various needs of the residents. Consists of a 3-bedroom, 21/2 bathroom house located within a mile of the clinic and hospital and a grocery store. No pets please. Port Townsend is on the North east point of the Olympic Peninsula. 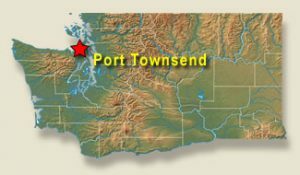 Distance from Seattle to Port Townsend is approximately 60 miles with a ferry crossing (Edmonds-Kingston or Seattle-Bainbridge). Distance to Port Townsend from Seattle without taking the ferry is about 112 miles. To see a map of where we are located and/or get directions from other locations, go to maps.google.com (for directions, click “Get Directions” in the upper left-hand corner where you can input the starting address). There is an airport near Port Townsend, Jefferson County International Airport. There are flights available to and from the Seattle/Tacoma airport. With the Olympic Mountains on one side and Port Townsend Bay on the other, the Strait of Juan de Fuca to the north and access to both salt and fresh water bodies, Port Townsend is a unique location for recreational opportunities. In town are many easily accessible city parks to enjoy for picnics, play or quiet reflection. Three State Parks, with two more nearby, and marine access round out the possibilities. 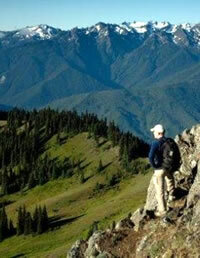 A short distance away reside Olympic National Park and Olympic National Forest. Hood Canal and the Olympic Coast National Marine Sanctuary are also close by. Port Townsend weather has lows in the teens and highs in the 70’s. The evenings are cool year-round, Port Townsend is affected by the maritime influence which keeps temps moderate. November through February have the coolest temps, sometimes below freezing, but not often. July through September are the warmest months, with morning fog in late summer. Daily wind speed can average 10 miles per hour with some days blowing over 30 mph, it is rare to have no wind in Port Townsend. Precipitation occurs mostly from November through June with an average of 2-3 inches per month. In late summer there is usually less than 1 inch per month. Port Townsend tends to have more sunny days than most of Western Washington, and it’s not infrequent to have sunshine in Port Townsend while Seattle or Port Angeles have clouds and rain. Port Townsend sits in the Olympic Mountain “rain shadow” and this keeps Port Townsend relatively dry.